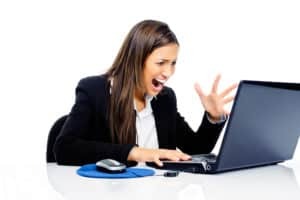 Do you have technostress? You might not even know what that is but you probably have it! Technostress is when technology becomes more foe than friend. We heard from those with technostress that all they wanted is for their audio/video system to work and not worry about it. They want it taken off their plate so they don’t stress about any training rooms, huddle spaces or auditoriums. Electronic Design Company has introduced a 5 year warranty plan as an antidote to help get through those stressful situations. The standard 5 year warranty plan will help be there for the life of your critical system. It repairs or replaces failed components. It also includes annual preventative maintenance. Replace the stress ball on your desk with a 5 year warranty plan.